At Webmonster, every single website we create is customized to your businesses look and feel. We never use 'cheap templates' or 'cookie cutter' website designs. We've seen it all. If your looking for a professional small buisness website, you've come to the right place. Get Discovered in Google, Bing!, and Yahoo! Social Media has become more important than ever when promoting your website. Many businesses make the mistake of using social media as their main form of promotion and that's a big no-no. Small businesses should use social media as a tool but never as the main source in promoting products or services. You don't have to spend thousands of dollars to sell your products and services online. You can list your products and get paid instantly. 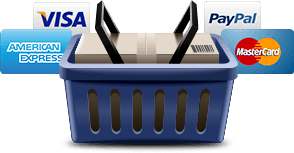 Your customers can pay with ease using Visa, Mastercard, American Express, and PayPal. The key is making it convenient for your customers to buy. We make it easy. We include support on each website we create and include website updates at no charge. If you ever need to change your website content we'll do it for free. It's included in your monthly plan. If you need help marketing your website we'll help with that too. We also specialize in search engine marketing.